Bitcoin and the top 20 cryptocurrencies are making little or negligible progress which could only mean that tough times are ahead of crypto. Among the top 20 cryptocurrencies around the world, NEO and Litecoin have been all over the mainstream media for positive reasons. In case of NEO it has recently launched a preview for its new 3.0 platform and the company behind Litecoin, the Litecoin Foundation has reportedly acquired 9.9% stake in a German bank and secured a payment partnership with it. As per the time of writing, NEO and Litecoin are placed at the 13th and 6th largest cryptocurrency of the world according to Coinmarketcap respectively. NEO has accumulated around $2.08 million of market capital whereas Litecoin is amassed total market capitalization of $4.34 million. At the current moment, both of them are being traded at 2-2.30% loss at different crypto exchanges. NEO’s current price is approximately $32.09 and Litecoin’s current individual is close to $75.67. According to the 24 hours exchanged volume it is clear to see that $88 million worth NEO has exchanged hands within the past 24 hours and the figure is close to a whopping $273 million for Litecoin for the same amount of time. 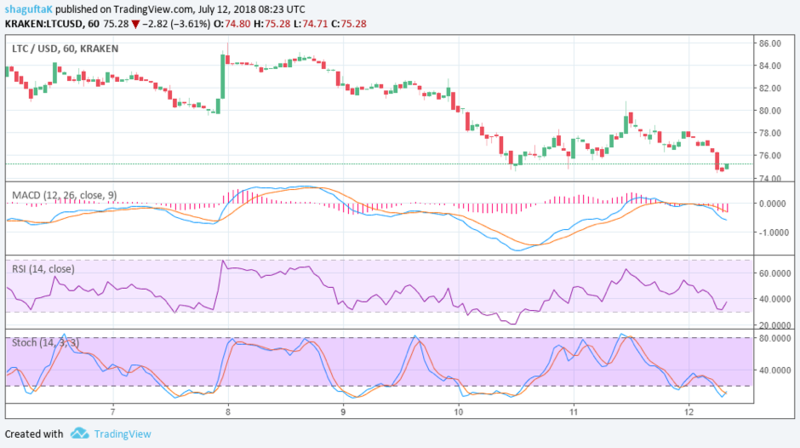 Litecoin had been suffering from the bearish trends of the markets since a long time but yesterday’s news regarding Litecoin foundation’s recent acquirement sent LTC on its path for a short recovery. 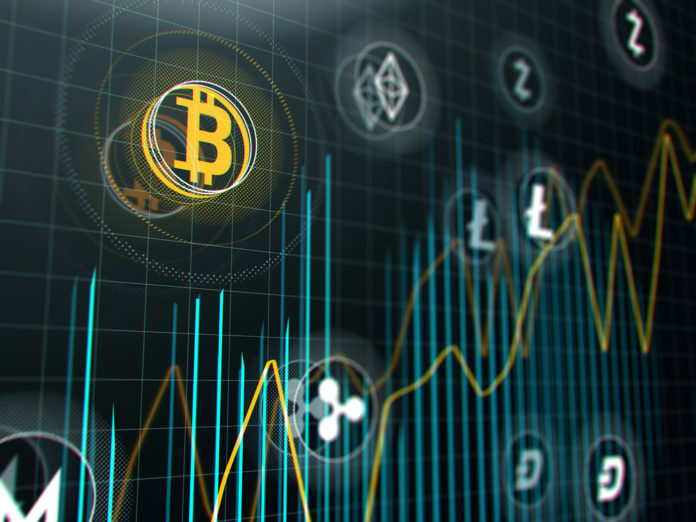 The recent upside correction has sent Litecoin to a $75 against US dollars but the charts do point out towards a resistance of $80 which was $79 against US dollars yesterday. According to the feed from Kraken, LTC moved faster towards $75 and creating a support area. 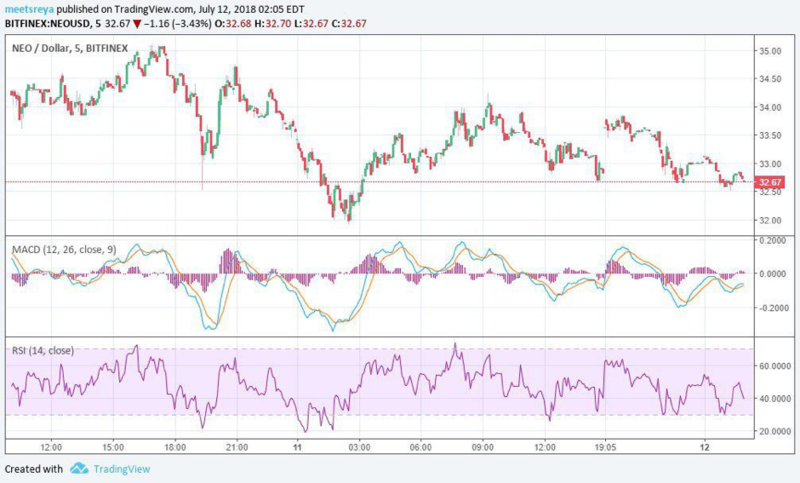 Cryptocurrency enthusiasts have seen LTC struggling in the crypto markets after the major decline which means that the LTC/USD pair has to break in the middle of the resistance levels of both yesterday and today in order to gain more positive movement towards recovery. If LTC buyers achieved the clearing of current $80 resistance, there’s a good opportunity for the coin to move ahead towards $82-83.00 levels but failure will cause the price against US dollar to reach at the bottom of $76. NEO charts are showing constant downtrends as time goes by and a negligible recovery section. If we look at the relative strength index or RSI, we can see that it’s going further reaching 40 which is indicating the fear of vendors to return and that makes NEO price fall continuously. According to the charts, NEO has more open space to tumble and traverse from $36 to at least $42. Stochastic has moved towards south lately implying that NEO price would move further down. Evidently, NEO is on its way towards a downtrend which would establish a selloff that would remain for a while. The currency is attempting improvement since the RSI on the 4hr chart indicates reversal formation around $32. Crypto traders are waiting for the retracement of market position. As the bears weaken, the bullish trend would start forming creating positive buzz and inviting more investors. The post Daily Price Watch: NEO and LTC Price Analysis appeared first on Global Coin Report.